Sally is a chef, so to speak. She makes nutritious and fresh salads. She makes energizing snacks and breakfast bowls. She makes made-to-order dishes that her guests love because they are so fresh, healthy, and energizing. 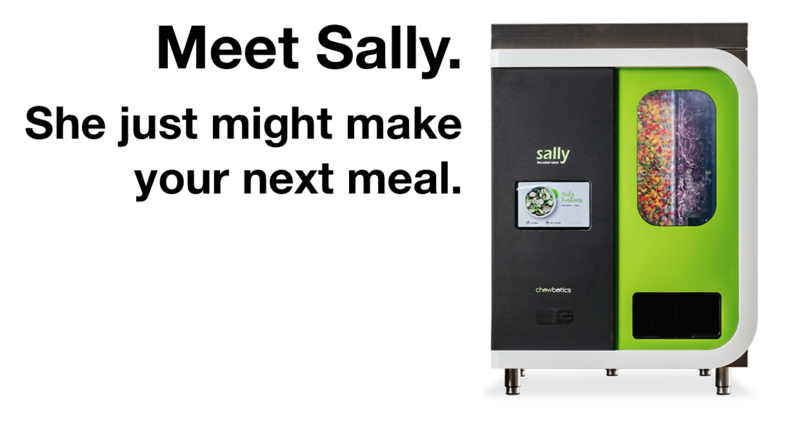 Sally sounds like a standard health food chef, right? She's different though. Do you know why? Sally is a box. She measures just less than one meter by one meter. She serves customizable, made-to-order meals as described above, and she can fit on a tabletop or on a counter. Here are some details on Sally. 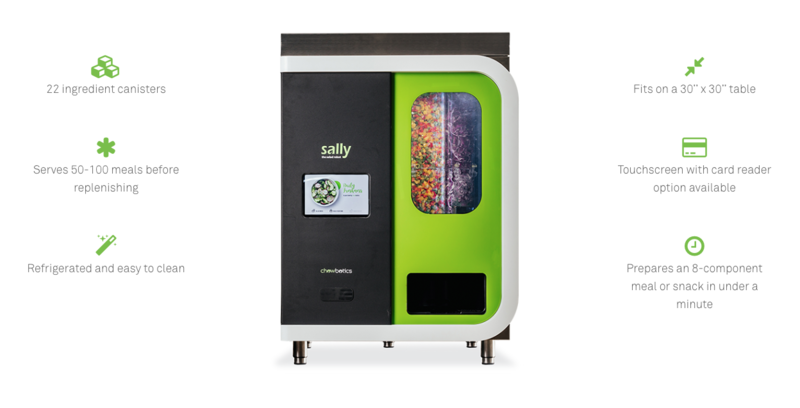 Want to learn even more about Sally? Want to see her in action? Want to see how she works? Check out an introductory video in the Chowbotics Video Library from WD Colledge.